A black and white negative of Jane Holliday playing outside. 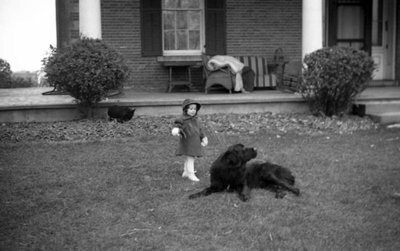 In this view she is standing behind a large black dog that is lying down. Jane Holliday, c.1935, Marjorie Ruddy. Whitby Archives A2013_040_068A.